Patrick Lois Killed And 7 Others Injured In Multiple Vehicle Crash In WPB | Schuler, Halvorson, Weisser, Zoeller & Overbeck P.A. 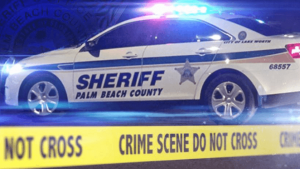 A West Palm Beach man was killed in a four-car collision on Interstate 95 in Indian River County, according to the Florida Highway Patrol. Patrick Lois, 46, was killed when the Ford Expedition, he was a passenger, was sent over the center median guardrail by another car, then struck by a car heading in the opposite direction. The four-car wreck took place in Indian River County and shut down I-95 for 90 minutes, according to FHP. Seven others were injured, according to the FHP. According to the FHP, Lois wasn’t wearing a seatbelt. The Expedition, which was being driven by a 35-year-old and also contained two other people, was heading northbound on I-95 near the exit for Fellsmere Road. It was struck by a Chevrolet Cruise driven by a 19-year-old of Titusville. Both cars were then sent over the middle guardrail into southbound traffic. The Expedition was sent onto its roof in the inside lane, where it was struck by another vehicle, a Mazda 6 driven by a 43-year-old of Okeechobee. The victim’s car was also struck by a fourth car, a Kia Forte driven by a 29-year-old of Lake Worth. The seven people who were injured all suffered minor injuries. The victims, all of West Palm Beach, were taken to a nearby hospital. The five others who were injured were not taken to hospitals. Tests for alcohol are pending and the crash continues to be investigated.